The New Ballard’s Branch Bogtrotters took their group’s name from the original Bogtrotters, the famous Galax, Virginia, area band of the 1930s, and because band leader Dennis Hall lives on Ballard’s Branch. Galax is home to the world-renowned Old Time Fiddler’s Convention, and the area has traditionally produced some of the country’s finest old time string bands. Carrying on that rich musical tradition, the New Ballard’s Branch Bogtrotters features Dennis Hall on guitar, Leon Frost on mandolin, Jesse Morris on bass, Eddie Bond on fiddle, and Josh Ellis on banjo. The guys have been playing together for over twelve years. Saturday, November 22nd, 2014, at 7:30 p.m. the Carter Family Fold in Hiltons, Virginia, will present a concert by the New Ballard’s Branch Bogtrotters, an old time band. Admission to the concert is $10 for adults, $1 for children 6 to11, under age 6 free. Hiltons, VA -- Saturday, May 24th, 2014, at 7:30 p.m. the Carter Family Fold in Hiltons, Virginia, will present a concert by the New Ballard’s Branch Bogtrotters, an old time band. The New Ballard’s Branch Bogtrotters took their group’s name from the original Bogtrotters, the famous Galax, Virginia, area band of the 1930s, and because band leader Dennis Hall lives on Ballard’s Branch. Galax is home to the world-renowned Old Time Fiddler’s Convention, and the area has traditionally produced some of the country’s finest old time string bands. Carrying on that rich musical tradition, the New Ballard’s Branch Bogtrotters features Dennis Hall on guitar, Leon Frost on mandolin, Jesse Morris on bass, Eddie Bond on fiddle, and Josh Ellis on banjo. The guys have been playing together for over twelve years. Admission to the concert is $10 for adults, $1 for children 6 to11, under age 6 free. Hiltons, VA -- The New Ballard’s Branch Bogtrotters took their group’s name from the original Bogtrotters, the famous Galax, Virginia, area band of the 1930s, and because band leader Dennis Hall lives on Ballard’s Branch. Galax is home to the world-renowned Old Time Fiddler’s Convention, and the area has traditionally produced some of the country’s finest old time string bands. Carrying on that rich musical tradition, the New Ballard’s Branch Bogtrotters features Dennis Hall on guitar, Leon Frost on mandolin, Jesse Morris on bass, Eddie Bond on fiddle, and Josh Ellis on banjo. The guys have been playing together for over twelve years. Saturday, November 9th, 2013, at 7:30 p.m. the Carter Family Fold in Hiltons, Virginia, will present a concert by the New Ballard’s Branch Bogtrotters, an old time band. Admission to the concert is $10 for adults, $1 for children 6 to11, under age 6 free. The New Ballard’s Branch Bogtrotters took their group’s name from the original Bogtrotters, the famous Galax, Virginia, area band of the 1930s, and because band leader Dennis Hall lives on Ballard’s Branch. Galax is home to the world-renowned Old Time Fiddler’s Convention, and the area has traditionally produced some of the country’s finest old time string bands. 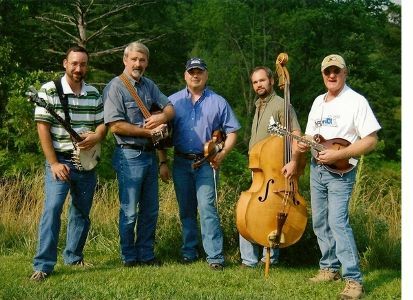 Carrying on that rich musical tradition, the New Ballard’s Branch Bogtrotters features Dennis Hall on guitar, Leon Frost on mandolin, Jesse Morris on bass, Eddie Bond on fiddle, and Josh Ellis on banjo. The guys have been playing together for over twelve years. Saturday, June 22nd, 2013, at 7:30 p.m. the Carter Family Fold in Hiltons, Virginia, will present a concert by the New Ballard’s Branch Bogtrotters, an old time band. Admission to the concert is $8 for adults, $1 for children 6 to11, under age 6 free. Hiltons, VA -- The New Ballard’s Branch Bogtrotters took their group’s name from the original Bogtrotters, the famous Galax, Virginia, area band of the 1930s, and because band leader Dennis Hall lives on Ballard’s Branch. Galax is home to the world-renowned Old Time Fiddler’s Convention, and the area has traditionally produced some of the country’s finest old time string bands. Carrying on that rich musical tradition, the New Ballard’s Branch Bogtrotters features Dennis Hall on guitar, Leon Frost on mandolin, Jesse Morris on bass, Eddie Bond on fiddle, and Josh Ellis on banjo. The guys have been playing together for over twelve years. Saturday, June 23rd, 2012, at 7:30 p.m. the Carter Family Fold in Hiltons, Virginia, will present a concert by the New Ballard’s Branch Bogtrotters, an old time band. Admission to the concert is $7 for adults, $1 for children 6 to11, under age 6 free.